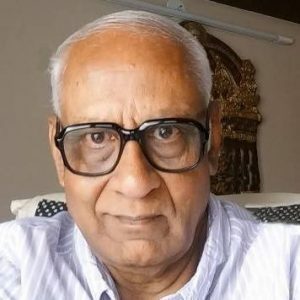 What is the meaning of Pradhosha? It means removal of sins to give Moksha. The word Pradhosha is combination of two words Prathi + Dosha in which prathi means each and every, and dosha means sin. Therefore the Pradhosha worship is done for removal of each and every sin accrued in life. What is the ideal time to perform Pradhosha pooja or worship ? The Pradhosha worship is done in the evening twilight (In Sanskrit and Hindi it is called Sandya Kala) on the Trayodashi of both lunar fortnights in Shukla Paksha and Krishna Paksha thithis when Lord Shiva is believed to be in ecstatic mood and grant favours for the prayers made. 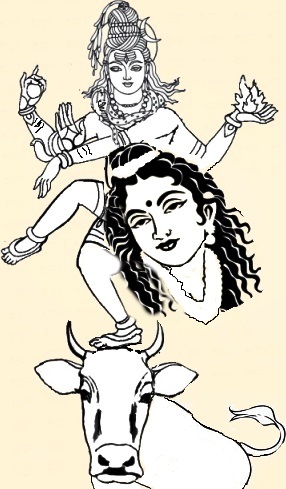 During twilight period of time the Lord dances in ecstasy between the horns of divine bull Nandi while his consort Goddess Parvathi remain watching and enjoying the dance of her lord. Pradhosha falls on the 13th thithi otherwise called lunar days from Amavasya and Full Moon days (waxing and waning phase of moon in the Hindu lunar calendar) and is therefore considered auspicious day to beget favours from Lord Shiva. What is the significance in offering prayers in twilight period of time on the days of Pradhosha ? The general belief is that continuous worship of Lord Shiva with his consort Goddess Parvathi in their blissful mood during twilight on every Pradhosha will bring all round happiness in family in all aspects. Why the particular period on the day of Pradhosha is considered auspicious is because the entire Celestial forces descend to earth to offer prayers to Lord Shiva and Goddess Parvathi during the twilight period and therefore visiting the temple to offer prayers at that time will enable one to receive the blessings of other divine fraternity from celestial world present in invisible form. The further belief is that one will not get rebirth if they offer worship for 120 Pradhosha days in continuation. A puranic story for performing Pradhosha is told of generations. 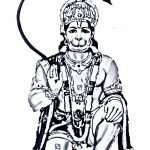 According to Hindu Puranas, the gods (Devas) and the demons (Asuras) were stirring the milky ocean to extract nectar, using divine snake Vasuki the serpent king as churning rope. As divine snake Vasuki underwent severe scratches on her body during the churning process, she emitted deadly poison from her mouth the heat of which was capable of destroying the whole world. The shocked celestial pleaded with Lord Shiva to save the universe from destruction from the effects of the poison spit by divine snake Vasuki. In order to save the universe from destruction, before the poison fell on land, Lord Shiva quickly took the poison in his hands and swallowed it. Had the poison gone into the stomach of Lord Shiva, it would have also caused his death even though he was superior divine power. That was one of the divine rules stipulated during creation. As soon as the poison was swallowed by Lord Shiva, relaxed Celestial forces ignorantly engaged in the act of churning totally forgetting the Lord who lay suffering due to the enormous heat generated by the poison when he swallowed it. Goddess Parvathi reacted quickly to nullify the effect of the poison by rubbing the throat of Lord Shiva to freeze the poison inside the throat. However the initial heat of the poison burnt the cells in his throat to turn it to blue in colour. At the same time the poison lost its effect too. Due to this reason Lord Shiva came to be called as Neelakantan meaning the one with blue coloured throat. The entire events unfolded on the day of Trayodashi (thirteenth moon day) during twilight period of time after sunset. The Celestials and Demons came to know of entire events and discomfort suffered by their Lord only after sunset and how his consort Goddess Parvathi saved him. They realized their greatest folly of not paying attention to the Lord after he swallowed the poison to save the universe. Feeling guilty they ran to the Lord and prayed for forgiveness and remove the sins inadvertently accrued by them on account of their apathy. 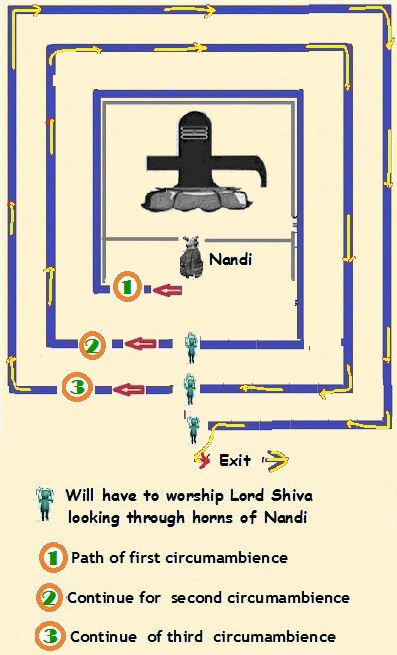 Pleased with their prayers Lord Shiva not only forgave them by removing their sin but also danced in ecstasy in the space between the horns of his carrier vehicle divine Nandi (Celestial Bull) while the his consort Goddess Parvathi stood by the side pleasingly watching him dance. 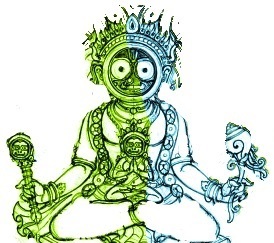 Therefore the twilight period of time on Trayodashi of both lunar fortnights in Shukla Paksha and Krishna Paksha thithis has become Pradhosha Kala. It is believed that whoever offers prayers to Lord Shiva during that period of time not only get their sins removed but also get their wishes fulfilled. It is customary for devotees to offer several varieties of flowers and fruits while performing puja or perform abishekam with sandal paste or sandal powder on the day of Pradhosha to Lord Shiva to get their prayers fulfilled. The pundits say that whoever undertake fasting or perform worship by listening or reading the Pradhosha Vrat story, or reading some chapters from Shiva Purana, or reciting the Maha Mrityunjaya Mantra 108 times on the day of pradhosha will be blessed with wealth, children, happiness and honour. The fasting and worship is specially undertaken by those women who long to have children. Performing Pradhosha puja with milk gives longer life. Performing Pradhosha puja with Ghee gives moksha. Performing Pradhosha puja with Curd gives intelligent child. Performing Pradhosha puja with Honey bestow melodious voice to musicians. Performing Pradhosha puja with Rice powder will free of the debts. Performing Pradhosha puja with Sugar cane juice will give disease free health. Performing Pradhosha puja with Panchamruth (Sweet dish) gives more and more wealth. Performing Pradhosha puja with Lemon removes fear of death. Performing Pradhosha puja with Sugar erases all enmities. Performing Pradhosha puja with Tender coconut gives contentment in life and enjoyment. Performing Pradhosha puja with Cooked rice gives life with full of dignity. Sandal gives Goddess Lakshmi’s grace. Monday:- The Pradhosha falling on this day is called Soma Pradhosha and when Lord Shiva worship is performed on this day, it will give good health and all round happiness in one’s life. his also remove negative thoughts and mental blocks. Tuesday:- The Pradhosha falling on this day is called Bhauma Pradhosha and when Lord Shiva worship is performed on this day, they will get enhanced income, financial stability and relief from long time diseases. Pundits say that performing puja on this day with sweet dish called Panchamruth (a sweet dish consisting of specific fruits mixed in honey and ghee) will be more beneficial. Wednesday:- Performing abishekam with Coconut water on this day will result in begetting children of high intelligence and the worshiper attains high degree of wisdom. Thursday:- Pradhosha falling on this day is called Guru Pradhosha. Pundits say that performing puja on this day will eliminate enemies and opponents. Friday:- Performing Pradhosha worship on this day will result in family harmony and unity. When abishekam is performed with sugar the enmities will vanish. Saturday:- This is the best day to worship Lord Shiva to beget Moksha and all comforts in life and called Maha Pradhosha day. 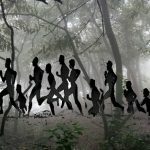 Since Saturday was the day when Lord Shiva reportedly swallowed the poison, the Pradhosha on Saturday is considered to be unique. 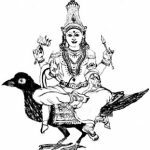 According to Hindu mythology, Saturday is dedicated to Lord Shani who is one of the Navagrahas in the nine celestial gods. Lord Shani has always been related with troubles and ill effects which are given as punishments for karma earned in previous birth. To ward off the adversities and misfortunes of Lord Shani, people observe fasts and offer prayers to Lord Shiva on Saturday. Sunday:- There will be all around happiness in family when puja is performed to Lord Shiva on this day. 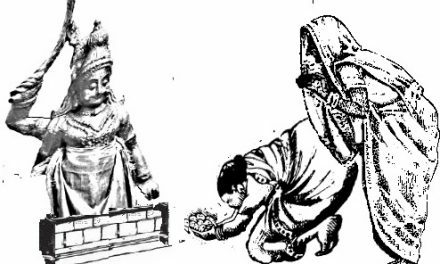 Pundits say that the circumambulation of the Shiva Ling should be always in the form of Soma Sutra pradakshana (circumambulation) unlike full circle pradakshana performed in many other temples where the Shiva Ling is enshrined inside a sanctum covered by walls on all three sides. The pundits cite two reasons for performing Soma Sutra pradakshana. Since the anointed water flow onto ground through the Gomukh, walking over the space in front of Gomukh will be tantamount to insulting Lord Shiva whose anointed water flow on the open space before entering into the ground. This is the reason why in most of the North Indian temples, where the devotees enter into the sanctum to worship Lord Shiva will find the space between the Gomukh and the wall or fencing erected before it is so narrow that one can not walk through them and will have to cross over the Gomukh if they wish to perform full circle circumambulation. Since no one will cross over the Gomukh, automatically only half circle Pradakshana called Soma Sutra pradakshana could be done. Few other other pundits say that since the Ganges flow down from the hair locks of Lord Shiva through the Gomukh and till it enters into the earth flowing few feet on land, it is considered to be divine and as pure as that of anointed water (abishekam) from the body of Lord Shiva. Therefore crossing the floor in front of the Gomukh is considered to be an act of insult to Lord Shiva. On the days of Pradhosha the Celestial forces take the divine water as anointed water flowing from Gomukh and then enjoy the dance of Lord Shiva while the other devotees stand on the other side watching the same. Therefore by crossing the space between the Celestial and Lord Shiva during the dance will disturb their attention and will be viewed an insult to Celestials. What is the mode of worship on the day of Pradhosha? 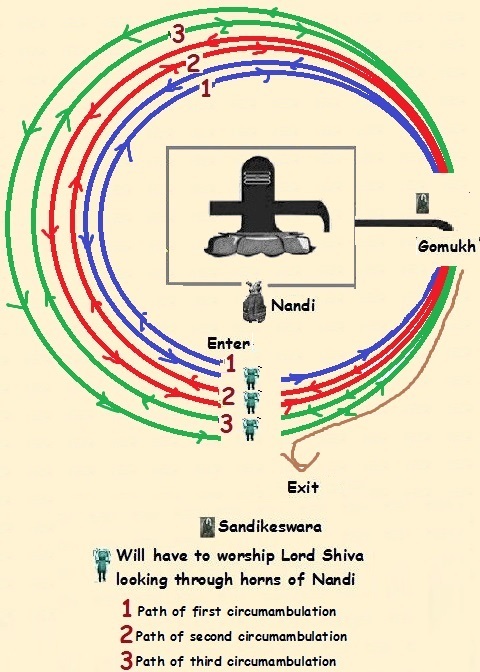 After reaching sanctum one has to worship Shiva Linga from the front side and commence circumambulation as shown in the illustration below – first walk anti clockwise up to Gomukh, then turn around to take circumambulation in clockwise direction till the other side of Gomukh is reached and without crossing the Gomukh, turn back to take circumambulation in anti clockwise direction to reach divine Nandhi Deva, offer worship to Lord Shiva through his horns. After offering worship, again begin circumambulation in anti clockwise direction towards Gomukh and continue circumambulation till three rounds of circumambulation is completed in the manner as stated above. This half circle pradakshana is called Soma Sutra Pradakshana. If you closely see the pattern of circumambulation, you can realise that the circumambulation is like half moon and hence this is called Soma Sutra. Since ancient period of time, the Shiva Ling has been enshrined inside the Sanctums and walls erected on all three sides including the one in front of the Gomukh portion of the Shiva Ling so that the water flowing through it goes into the ground through the outlet of the room even as the devotees take circumambulation in full circle from beyond the wall. However wherever the Shiva Ling is enshrined in the open space and worshipped (without a wall placed at the end of Gomukh) one should not cross the open space in front of Gomukh and perform circumambulation only in Soma Sutra pradakshana way.